For those who have seen it already, there’s no need to explain why it’s good. 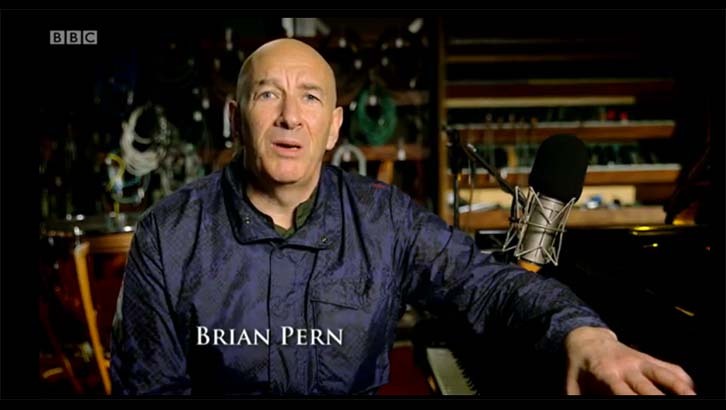 Yes, BBC Four’s Life of Rock with Brian Pern has drawn to a close after just three episodes – suggesting it won’t be on iPlayer too much longer. All I can say is it’s among the funniest things since Chris Morris’ Brass Eye and congrats to everyone involved. The Fast Show’s Simon Day stars as the eponymous Pern, a sort of hybrid character somewhere between Peter Gabriel and Brian Eno. This fictitious former member of beautifully named Genesis-clone Thotch embarks on a journey through the key three phases of rock music, all delivered equally ridiculous and pompous enough to be taken literally. Yeah so the ‘rockumentary’ genre may be a well-farrowed comedy field, but I personally found this mini-series to be innovative enough. Elements doubtlessly owe a debt to the aforementioned Morris, imaginatively reworking or adding new context to genuine archive footage and interviews at its best. In contrast however it’s all done with a bit more warmth and honest silliness. The superb cameo cast help here with Paul Whitehouse, Matt Lucas, Reeves and Mortimer (in Mulligan and O’Hare guises) and even Noel Edmonds all contributing great stuff. Beyond the excellent central turn from Day however, notable shouts must go to a riotously brilliant Nigel Havers and Tittybangbang’s Lucy Montgomery. In fact the series itself was directed and co-written by Montgomery’s real life partner Rhys Thomas, recognisable from Star Stories and another Billen favourite Nathan Barley. Anyway, it’s bloody great and you can get it in lovely HD on BBC iPlayer now. Quick, go!